Welcome to Friday Writing Happy Hour! First…I need to send you to a bonus Friday post from guest author Sarah Albee, who is sharing some great, great thoughts on nonfiction, making science and history interesting to kids, and photos. Really…don’t miss it. 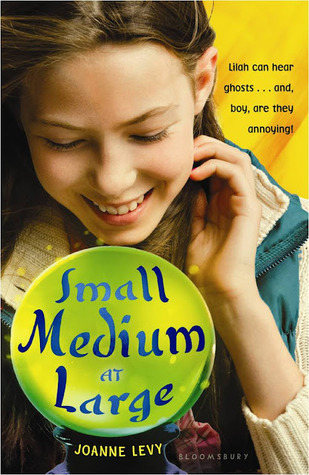 More Friday stuff… We’ve got another book giveaway today – SMALL MEDIUM AT LARGE from guest author Joanne Levy. To enter the drawing, leave a comment on this post before 11:30pm EST Saturday night. A winner will be announced Monday morning. So…how was your writing week? Friday Writing Happy Hour is a chance to relax and share comments about our progress, goals, accomplishments, and whatever else is on your mind. If you’d like feedback on a snippet of writing, head on over to Gae Polisner’s blog for Friday Feedback, where you can share a few paragraphs of your work and offer feedback to others, too. Enjoy your weekend, and remember to check in at Jen’s Teach Mentor Texts blog on Sunday. I’ll see you back here Monday morning! Wow, it’s sad that we’re half-way through summer…boo-hoo…*sniff*-and so I just want to say that this has been great for me-I’ve learned so much! Thanks for hosting this awesome event and thanks for all of the feedback! This has really been so inspirational. I think I’m learning just as much as everyone else, if not more. Thanks to all of you for being here! Teachers Write! has given me so many new ideas. My head is full of fresh writing approaches, now I just need to hone in on a few to really implement. This has been a creative and productive summer. Many, many thanks Kate and all the visiting authors for sharing! Thanks to all of you for showing up and sharing – you make this a pretty cool place to hang out for the summer! Really enjoyed the author’s ideas this week. Megan and Gigi both were great mentors. So many ideas to use with my students! The quick writes have taken me in so many directions I would have never gone on my own. To say thank you doesn’t seem like enough! Hurray! I’m so glad the prompts are sending you off in new directions. I loved today’s non-fiction discussion! As a kid, I never enjoyed reading non-fiction, but as an adult I find it is one of my favorite genres: memoir, magazine articles, creative non-fiction, personal essays, biographies & more, and I am always trying to think of ways to show my students how non-fiction can be so interesting and fun and spark conversations! The bee picture was amazing. I hope to use some of today’s tips/discussions in my classroom this year. Another great week of reading and writing discoveries. Thanks! I was never a nonfiction fan growing up either but devour it now. If you loved the bee photo, you really also need to check out THE HIVE DETECTIVES by Loree Griffin Burns. It’s NF about colony collapse disorder. Brilliant writing and truly stunning photography, too. We’re happy to see you back, too! I love today’s post about non-fiction writing. I have been thinking this summer about how to bring more non-fiction texts into my classroom and I appreciate the perspective. Images are so compelling and I can see how finding the right one would be very rewarding. This week I had a second week of a workshop (Milwaukee Writing Project) where I got many more rewarding ideas for my writing classroom. The quick-writes this week were great ideas and I look forward to going back to them next week when I have more time. I feel accomplished because I kept up on my blog much better this week. A bunch of nonfiction authors run a blog called INK – Interesting Nonfiction for Kids – that may give you ideas for more titles to use in your classroom. There are some great Teachers-Write-ish blog posts here, too. I have really enjoyed the posts this week. My son is going to soccer camp next week, so I’ve decided to give myself a writer’s camp with hours of uninterrupted writing! Can’t wait. My cart at Amazon is overflowing with new titles. My blog has had more activity. I have friends calling for writing advice. I have started to Twitter. I have new friends here who support my writing life. Somehow I am beginning to believe it is true: I am a writer! Let’s celebrate! Thanks for everything you have given to us so generously. You are a writer, Margaret! And I’m cheering for you, too! I agree with what everyone has written in the first nine posts. This has been a learning opportunity of a lifetime. So many of my (as well as my students) favorite authors have posted mini-lessons and have shared such valuable insight. Like many teachers, I dread the beginning of the school year (not because of the students, but it symbolizes the end of summer), but I am thrilled about this upcoming school year. I have developed so many new writing lessons that will compliment some of the other lessons that I am currently using in the classroom. THANK YOU to Kate, Gae, Jen, and all of the authors that have shared! You are welcome – and thanks for all you’re bringing to this community, too, Andy. Such a range of help with Teachers Write. I may not be putting my work out there, but I am definitely enjoying the challenges and the daily write. Thanks so much! And it’s okay that you’re not putting your work out there (yet! ), Bev – it’s a go-at-your-own-pace summer camp. We’re glad you’re here – and I’m glad you’re popping in to say hi! I’ve had more of a reading week than a writing week. However, I just counted and I see that I wrote 7 blog posts on three different blogs. Yikes, I didn’t realize I was so wordy this week. Most of the blog posts were about reading. I discovered Jen and Kellee’s “It’s Monday! What are you Reading?” meme, so that was one that I wrote. Anyway, thanks for the chance to win Small Medium at Large! I’d call seven blog posts a writing week, too! I didn’t get to write much this week, but I really enjoyed the feedback I got from two different authors on the one thing I wrote and posted. It was interesting, because the two people had different viewpoints on what I’d written. What I plan to do this fall is show my students the post and comments and help them understand that, while I am their teacher and writing coach, I’m not the goddess of what’s right and wrong in writing, that it’s okay to disagree, and that there’s more than one right way to do things! That sounds like a really great way to use a moment from this camp as a model for student writers/critique partners. I’m at the half-way point of my class (I have two weeks left), so my focus is on academic writing right now. I really miss my characters from my WIP and am anxious to get these papers out of the way so I can get back to them. And then I realized my school year starts just a few days after my class is over. YIKES!! I need more summer!! Enjoy these last weeks of warm weather and not-so-busy days! I was already married when my first published work came out, so this wasn’t an issue for me – but I do know some writers who change their names legally but continue to write under their maiden names. That’s certainly an option, depending on how you feel about it otherwise. Does that help at all? I was published pretty extensively before I married, so I never legally changed my name. But I cheerfully answer to Mrs. Willson (and that’s what my husband’s students call me). At non-author social functions, I introduce myself by my married name, and that’s how most of our friends introduce me. And I have used my married last name for a few books, too. It does make for some confusing moments at the dry cleaner’s, when you can’t remember which name you gave them! It’s crazy how fast this summer is flying. Kids with their camp/summer program schedules… travel sports… out of town visitors… day job… revisions… blog posts… swimming… I wish I could find a way to SLOW it DOWN!!!!! I hear you. I think all I did yesterday was drive people places. And then feed them and drive them other places. Today was a better writing day, though, and every day of this camp, I’m thankful to have gotten to know people like you. This camp has helped me rethink my writing instruction starting in the fall. I even used some of the prompts (and acknowledgment of the author who provided it) provided here at #teacherswrite to my students via our class blog, and they are biting…yes, WRITING! Thank you everyone for the inspiration you are providing for me and students. Hurray! Delighted to hear that you’ve got your students writing with us, too! I’ve been loving Teachers Write! My active online participation varies, but I definitely check in every day, and I learn so much from the discussions in the comments. Since I’m approaching student teaching, I know that there will be a lot of choices to make, both next semester and in the years following when I have my own classroom, but it’s comforting to know that there are always communities of fellow teachers (and writers) to encourage, motivate, and inspire me! Thanks, Megan! Best of luck with your student teaching! Thank you for this great opportunity! Wish me luck as I dive into a pile of poems to send off! I am so sad I didn’t see this until now. Will you be doing something similar this fall or next summer? The community is going to continue into the fall, with posts probably more like once a week than every day…still figuring out the details! But it’s not too late to join us for the summer now if you’d like. We’re pretty casual around here, and people come and go as they can.